Rod Ker's latest ramblings, roadtests, model recognition information, sales literature, photos etc. With Model history, photos and archive material. 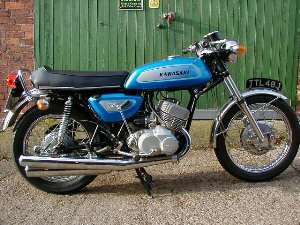 "Kawasaki's ‘New York Steak’ prototypes disguised as Honda CB750s were plying the roads of America by 1971, clocking up big mileages to make sure that everything was right first time". 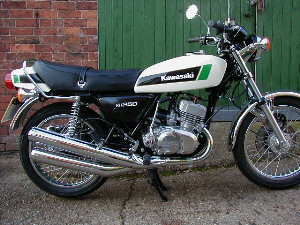 "It's a pity this site doesn't have sound, because there's nothing quite like the shriek of a Kawasaki two-stroke triple being given some stick. If Hannibal Lecter practised dentistry, this is the sort of noise that would be coming from his surgery"! 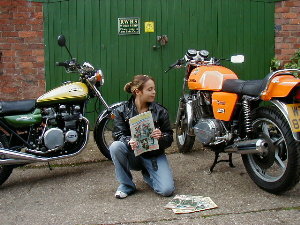 "Life was so simple for fledgling bikers back in the 1970s. Anyone capable of walking as far as the local No-Star dealer without tripping over his flares could buy a motorcycle, slap on a pair of L-plates, and wobble off into the traffic". 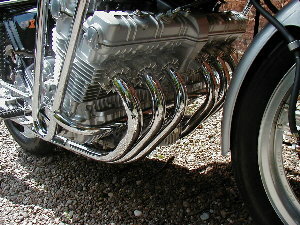 "If you don't know what a Phantom jet fighter sounds like, buy a Honda CBX and have a fiddle with the exhaust system"! 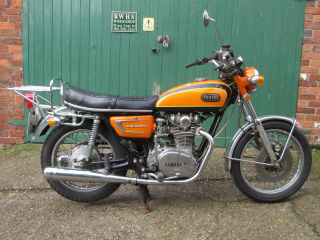 Photos and text are copyright Classic Bikes Ltd. unless otherwise noted. 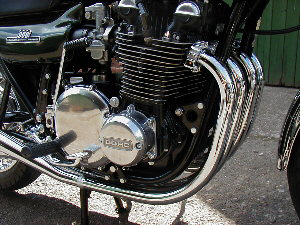 Copyright © 2018 Classicbikes.co.uk All Rights Reserved.